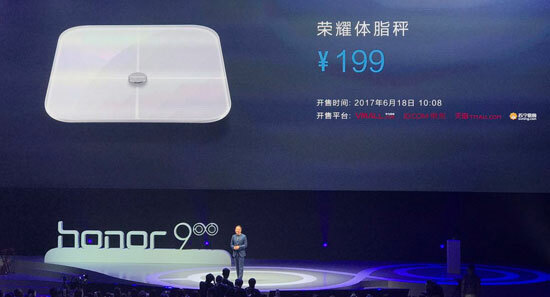 At the presentation of the smartphone Honor 9 , the company introduced a number of “smart” devices. 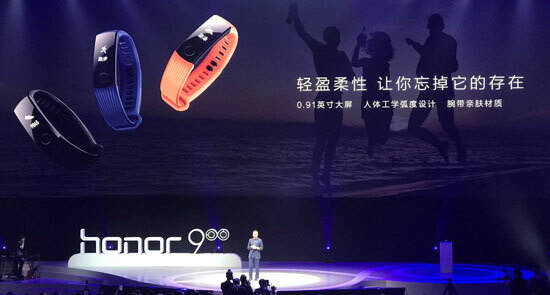 Among them is a fitness bracelet Honor Band 3, smart scale and branded the air quality sensor. Smart bracelet can last up to 30 days without recharging or 10 days at active use of heart rate monitor. On the front of the device is at 0.91-inch screen with a activation function for a show of hands. An interesting feature of the Honor Band 3 is the ability to use in the shower, the pool or in the rain. 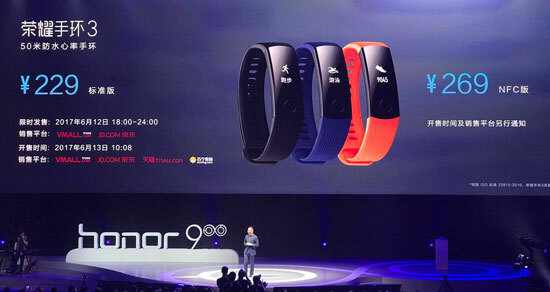 Honor Band 3 will be able to analyze the heart rate on a special algorithm, and for sleep monitoring bracelet Huawei uses technology True Sleep. The company notes that the accessory can be used for fare payment in the subway and public transport. The cost of the gadget will be about $33 for the regular version and $39 for the version with NFC. Users can choose between straps in black, blue and orange. In addition to the fitness bracelet under the Honor brand will release the “smart” scales cost less than $30. The set features two-part definition of weight, biological age and the amount of fats in the body. On the polished surface of the scales there is a small LCD display. 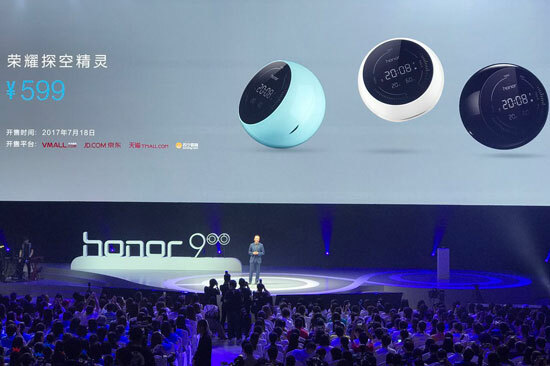 Another fun feature of Honor was the portable sensor of air quality. The device is equipped with a round case with a display on the top face. The cost of the sensor is about $88. Early in the sale will be Honor Band 3 bracelet will be available tomorrow. “Smart” scales will be in stores June 18, and sensor condition of the air will have to wait until July 18. You are reading an article on the The new Samsung: smart bracelet Honor Band 3 and gadgets for the home. All materials on the site Gadgets F, а также и статья The new Samsung: smart bracelet Honor Band 3 and gadgets for the home - written for the purpose of information enrichment and we are happy if you like our magazine.